Wooo what a day, I was busy cleaning the house and doing the laundry today and now I just got done folding the clothes. 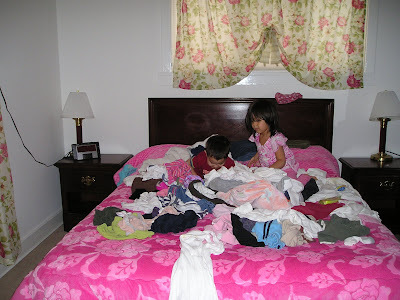 I've waited till our kids are sleeping before I folded the clothes because if I don't this will be the scenario. 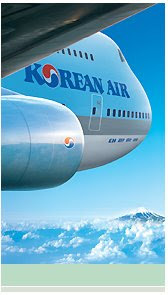 We purchased our plane tickets yesterday through Korean Airlines, we tried to buy it from Philippine Air Lines but it was so expensive. It cost us $1,816 for the four of us but with PAL, it could have cost us 4 thousand plus.. Can you believe the difference, my golly. As much as I want to patronize Philippine airlines but I can't afford with the price... Anyhow, it's official now because we have purchased our tickets so we'll just wait till next month.. I wonder if he clean his fingers before sticking it in their mouths lol... What do you think?